Depending on the time of sunsets, we meet at Seaside Village shopping centre parking lot approximately 2 hours prior to the sun setting. 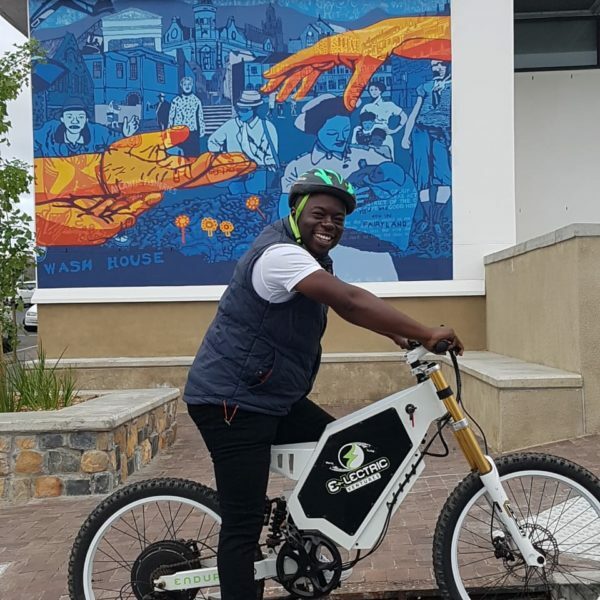 Here you will be given your e-bike and briefed on how it works. 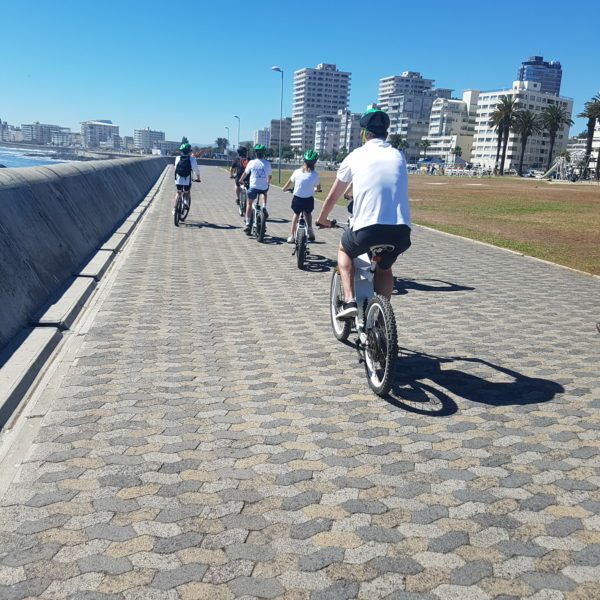 We will then take an easy ride along the cycle track to Melkbosstrand. 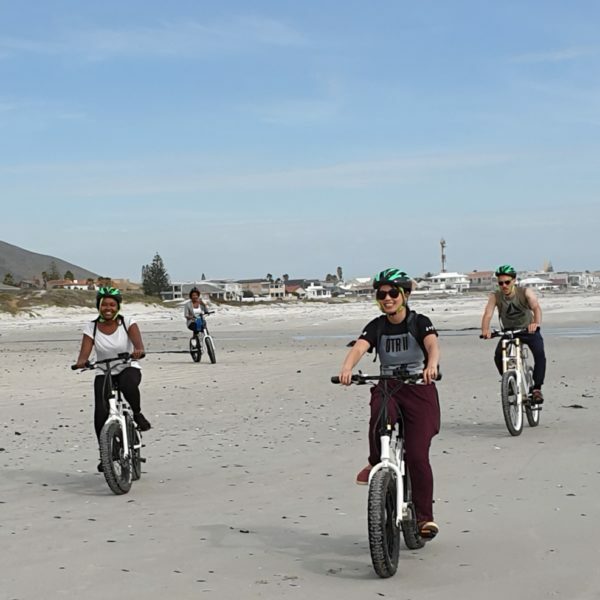 Here we head onto the beach and lap up the natural beauty of the ocean, the abundance of sea birds and start enjoying the pure freedom of beach riding. We head up to Koeberg Nuclear Power Station, where we unpack our selected cheese, wines and magical homemade spreads. 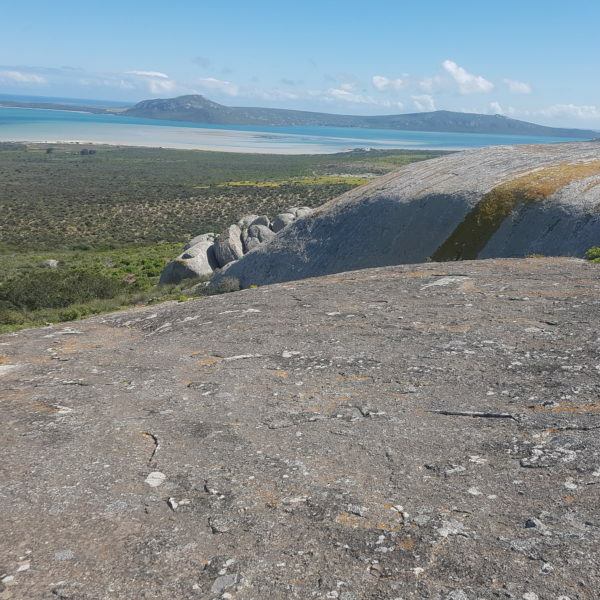 Here we switch off to the city pressure and settle down to watch our beautiful sun slowly set over the Atlantic Ocean, whilst sipping a wine and snacking on some yummy cheese and biscuits. 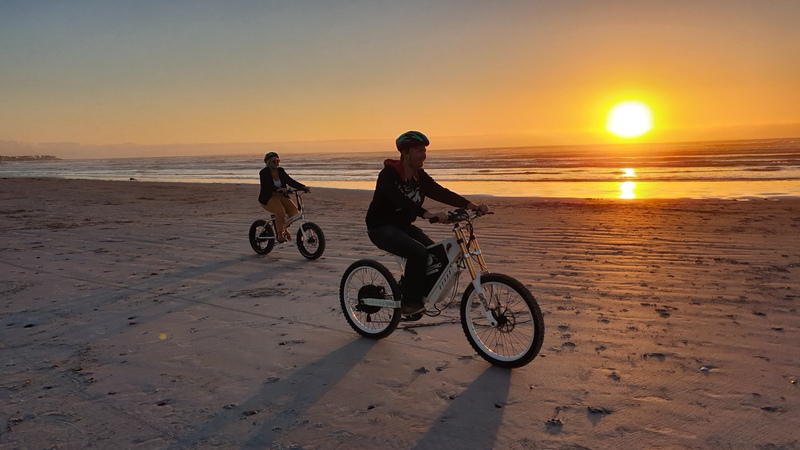 Once the sun has set, we get back on our e-bikes and amble back to Melkbosstrand, where our ride will end. Here your bikes will be packed and you will be taken back to Seaside village. Something warm. The breeze off the sea can be rather fresh.